Teachers need every effective strategy they can “get their hands on” to help students learn skills that are vital to navigating in a complicated world. Teachers need every effective strategy they can “get their hands on” to help students learn skills that are vital to navigating a complicated world. 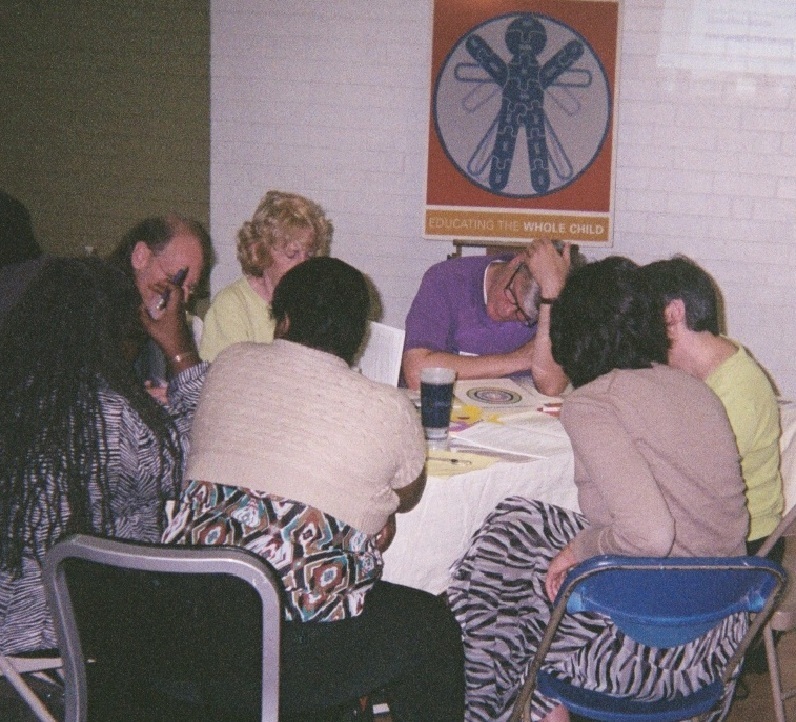 One way to use strategies that are “take-it-to-the-bank” effective is to incorporate attention-getting elements – A-GEs. Already used by many elementary school teachers, A-GEs are proven aids in sustaining concentration to reach specific goals. Posted here last week…the first three A-GEs…Attracting Appearance and Presence, Enthusiasm and Voice. Promised this week…an opportunity to re-visit the rest of the FAB 15 Attention-Getting Elements that teachers need in their toolboxes. 4. Eye-Catching Visuals grab and hold attention. – Graphically appealing visuals especially help struggling students and those with learning styles that rely on visual skills. Music is a magical FAB 15 AG-E – Attention-Getting Element! 5. Word Choice is a key choice. – Teachers who use ear-catching language, including sudden phrases in a “foreign” language, know that deliberate word choice is an amazing teaching tool. 6. Color is incredible! – Research into the power of color shows that color not only catches attention; it speeds learning and helps people find information. Color as an AG-E especially serves students with attention-deficit disorders. 7. Music has the power to move us all. – Incorporating musical instruments and musical moments into hooks into lessons and transition times can help teachers gain and maintain attention. 8. Entertainment is the paramount attention-getting element in our world today. 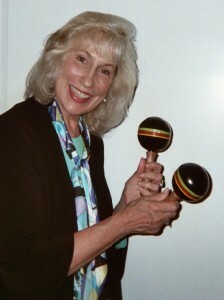 – Most teachers don’t think of themselves as entertainers, but those who “buy into” the concept that teaching is a performing art know that entertaining children in the course of educating them is cause for applause. 9. Interaction is a proven way to keep children engaged in any activity. – One of the best principles of effective interaction is to remember to talk WITH others, not talk TO them. One of the “coolest” characteristics of the FAB 15 A-GES is that they are fun as well as functional for students and teachers. 10. Humor helps kids relax and get ready to learn. – Humor isn’t just the best medicine; it’s a classroom-tested teaching tool. Puppetry & Personification bring characters like ‘Little Bear’ to life. 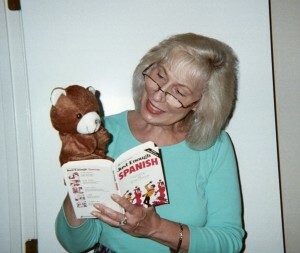 “Spanish is hard for me,” says ‘Little Bear,’ in this simple presentation. Students respond with relief that they’re not alone when they struggle in school. happy surprise is in store. 12. Dramatic Movement is intentionally theatrical; it’s another proven attention-getter. Think of yourself as presenting information when you teach. Use dramatic gestures to emphasize key points. 13. Imagination is a power in every teacher’s hand! – Visualization is at the heart of the effectiveness of imagination. Encourage kids to visualize where a lesson leads and what the class will achieve. IMAGINATION translates into OPPORTUNITY! 14. Puppetry & Personification bring characters and concepts to life. – Simple, small hand puppets and the power of personification help children learn skills, retain information, and express themselves. These elements are especially helpful to children with special needs. 15. Games & Sports can support your classroom management objectives and K – 5 curriculum. – Minute games are easy to manage. These attention-getting elements engage even the most reluctant learners. The FAB 15 A-GEs partner with the Core Curriculum in the US and with other curricula, too, by integrating the arts into classroom management strategies and hooks into lessons. Tool up your teaching toolbox by adding more elements to catch and keep K – 5 students’ attention. In a world that puts a premium on entertainment, today’s teaching toolbox needs entertaining components to help children master must-have skills. 3 Pings/Trackbacks for "Re-Visit the FAB 15 AGEs – Attention-Getting Elements Teachers Need in Their Toolboxes"